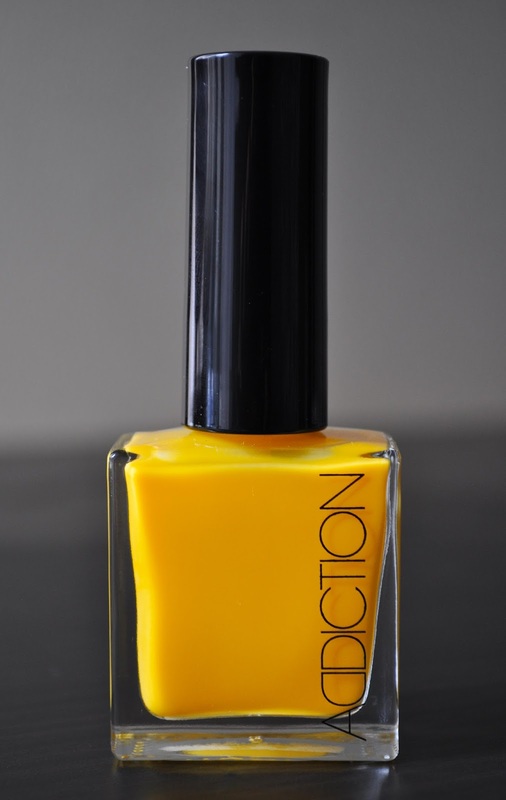 Time for another spectacular polish from Addiction! Yellow Cab lives up to it's name as a bright, milky, taxicab yellow. 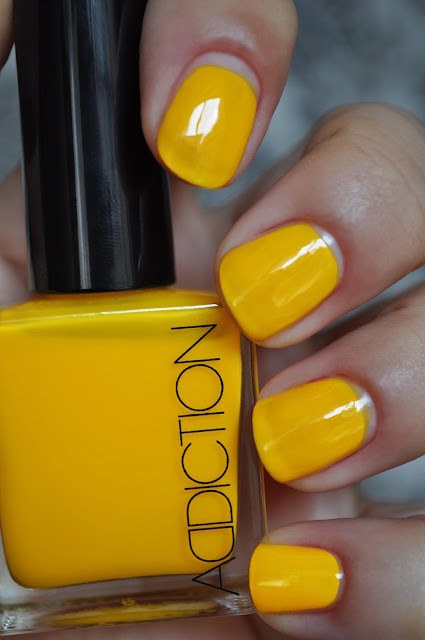 Unlike Purple Rain, Yellow Cab requires only two coats to achieve a wonderful, glossy, jelly-like finish. What are some of your favorite jelly nail polishes? WOWWW! What a delciously warm & glossy yellow. WHY do we have to have these nasty shipping restrictions?!! It's such a fun color to wear. They have these ridiculous restrictions because they want to repress beauty enthusiasts around the world! I totally agree! What did nail polish ever do to deserve that kind of treatment, lol. Jillian, I haven't forgot about your Addiction eyeshadows, I just haven't had time to go through them all. emmmm they are like gummy M&M on your nails..... stupid postal restrictions I love to try them someday! I'll ask you for a list whenever I know I'm visiting the states. when are you coming to the states!!!! when when when!! !